Russian Jewish billionaire Roman Abramovich donates large sum to help bring children with serious illnesses to see soccer World Cup. Despite Israel’s absence from the World Cup, many Israelis are intensely following this year’s tournament in Russia. Some of these fans, thanks to Russian Jewish billionaire Roman Abramovich, have been gifted the opportunity to attend the Cup. 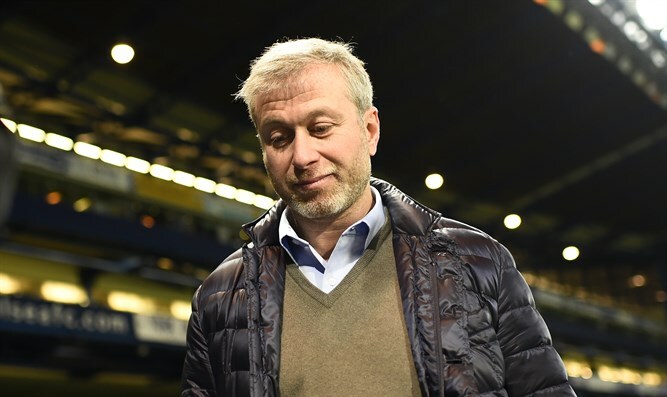 Abramovich, an investor and entrepreneur who owns England’s Chelsea soccer team, has donated a six-figure sum to the Israeli “Fulfilling Dreams” charity, which takes children with serious illnesses to major soccer tournaments across the world. The organization was founded and continues to be run by U.K. native Gilad Salter. Abramovich, according to reports, learned about the charity from his friend and former Chelsea manager Avram Grant. According to CNN, Ambramovich’s and others’ donations have funded flights from Israel to Russia, hotels and food throughout the weeklong stay. The group of 68, which includes 38 caregivers, attended three matches, including Mexico’s defeat of reigning world champion Germany. According to The Jerusalem Post, many of these children were slated to attend the Israel-Argentina friendly that was canceled just before the Cup started this month. Abramovich has donated to Fulfilling Dreams numerous times, most recently, according to CNN, helping the group travel to the 2014 World Cup in Brazil as well as the 2016 European Championships in France. Moscow’s Jewish community has reportedly provided unspecified assistance as well. The Chelsea owner was Russia’s 11th-richest man with a net worth of $10.8 billion. Following difficulties securing a visa to enter the U.K., Abramovich, who is Jewish, recently pursued and received Israeli citizenship. He was born to Jewish parents in Lithuania but raised in Russia.